Are you a member of Ebates? It’s the best cash-back rebate program for online shopping from 1,000+ stores. I’m thanking my readers who are Ebates members by giving away a $600 Apple Gift Card that can be used online or in an Apple store. If you’d love to get an iPad – that $600 could buy you an iPad plus accessories for it. If you shop through Ebates at Apple you earn 1% cash back – I know it’s not much but every penny counts towards saving money! I’m sponsoring this giftcard giveaway myself, it’s just a way for me to reward my readers who let me refer them to Ebates. If you aren’t a member, it’s easy to sign-up for Ebates and get a $5 bonus. Your email address and password is all you need to get started on your way to earning cash back for almost every online purchase that you make. I want to help you save money! It’s like free money – that $5.00 will be credited to your Ebates account after you make your first purchase of over $20 (within 90 days of signing-up). Since Ebates has so many stores (over 1,200) it’s pretty easy to make your next online purchase through Ebates. The email addresses that I collect for this giveaway will only be used for the purpose of contacting the winner, and will never be given to anyone. This giveaway will close Monday, July 26 at 11:59 pm (CT). I’ll announce the first name of the winner in a new post the next day and contact the winner by email. I will draw the name of the winner by using the random number generator at Random.org from the eligible entries received. If a winner does not contact me within 72 hours by email, I will draw a new winner. This giveaway is open to residents of the United States who are 18 years of age or older. The winner will receive their gift card directly from Freebies 4 Mom. Please complete the entry form below to enter this giveaway. You need to be a member of Ebates in order to enter this giveaway. I will verify that the winner is an Ebates member before making the winner’s announcement, so please use the email address that you use for your Ebates account. The winner will receive a $600 Apple gift card from Freebies 4 Mom by mail that can be used either online or in an Apple store. This giveaway closes at 11:59 pm Monday, July 26. Thanks for entering and come back after Monday, July 26 to find out who won in the Winners section. Freebies 4 Mom Giveaway Disclosure: I sponsored this giveaway myself and obtained the $600 Apple gift card by redeeming my Swagbucks. This giveaway is not sponsored by Ebates, Apple, or Swagbucks. For more information about how reviews and giveaways are conducted on Freebies 4 Mom, please read my Disclosure Policy. Can’t wait to check your site tomorrow! Thanks for all you do and share with us! Thanks for the opportunity to win an iPad!!!! Awesome giveaway!!! Very exciting. I hope I win. This is awesome. I am worried though – I can’t remember if I already entered or not. Any advice from people on how to keep track? I want a kindle and I was told to get an IPAD instead…so I guess that is what I woudl do with this! I am an Ebates member and would love an iPad!!! I am an ebates member, but the email addy I used to sign up with ebates is no longer a valid email addy. I did put it down tho! what a great giveaway! I think 1 entry per person is such a wonderful idea…. makes you feel like you have a chance! An Apple I-Pad would be just awesome!!! Winning this would definately make me one happy pregnant mama!! I’ve been so lucky winning things for the new addition and our other DD, it would be so nice to win something for myself for a change!! Many of us are humbled by this opportunity as our families are just managing to keep out of the red. With no X-Box, no Wii, no Laptops……..this would be a wonderful gift for my family. Count me in! What a great giveaway! I love Apple!! I have been wanting an ipad ever since they came out….it would be such a blessing to me and my family!! Thanks for the opportunity for a gift………………..
HOORAY! I cant believe I wasnt already a member of ebates! I order stuff online all the time!! thanks for this awesome contest! I would LOVE to get an Ipad! I would LOVE to win!! I dropped my iPhone (accidentally) on the cement last week and the screen is all cracked. It’s not very pretty anymore. Thanks for the giveaway. 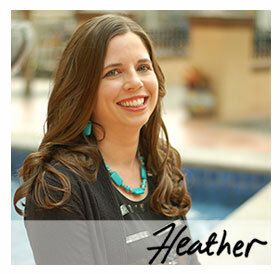 Thanks so much for this opportunity, Heather. I know my large family would never be able to afford one, so having this opportunity is awesome. Love Love Love Apple!! And have always wanted an apple iPad!!! What a neat give away. My son and daughter would love an I touch pad. Thanks for all your hard work and great giveaways!!! Hope I win!! It would be great since I am going back to school for my EdS in the fall!! This would help with travel and homeschooling,Thanks for the chance to win a IPad. Thanks for the reminder!! Reaaaaaaaally hoping I win one for DH–no $$ for his 30th bday present next month, and he LOVES all these gadgets he never gets to have. I just signed up to enter and win free and cool things. The ipad will be really nice to have and listen to my Country Music on. I have always liked signing up for Free Entries and Sweepstakes. I would definitely get CS 5 software from Apple! i folow your web site and use a lot of the information to get great thing. would love to win . I would love to win this….did I mention LOVE…L-O-V-E! This poor teacher could use one too! I can’t believe that you are sponsored this through redeeming your swag bucks! That is awesome! I feel a sense of renewed hope to keep at it. Thanks! Wonderful giveaway! Thanks so much for the chance to win! It’s great to get paid to shop!! I would be the happiest camper ever…..
Would love to win this for my kids! What an awesome giveaway! Thanks!! I subscribe in email and facebook and read you everyday, all day. Winning an iPad would make me the happiest woman in the world! Thank you for all that you do and for giving us a chance to save money and dream! Love ebates, I have $30 coming back to me, just for buying things I was going to buy anyway! Love your site, one of the best. Apple and Ebates are great as well!! I have been wanting a iPad!! I have recently started my blog about being a biological child in a foster family, and my computer stinks!! I have wanted a iPad!!!!! I have recently started my Blog about being raised a biological child in a foster family, and my computer stinks!!! Keeping my fingers and toes crossed! 🙂 Would LOVE an Ipad! Just signed up with Ebates.com. It’s a very cool idea. Hope I win. I would give this Apple gift card to my husband as his Birthday and Father’s day gifts for the year! I’d love to give this to my hubby! He’s been waning some new “toys” for a while now, but we can’t afford it. This would just make his day! Love your website. Recomend it to everyone. this post has me searching ebates as i type it is open. I love ebates! I never shop online without them! I love your site and Apple products!! We just had to sell our Mac laptop to pay bills 🙁 so this would be absolutely amazing! Good luck to everyone! Holy Guacamole! You redeemed you swagbucks for $600 in Apple cards? That’s incredible! I couldn’t have done it without my readers who let me refer them to Swagbucks! Makes sense to give it back to them (even though I want an iPad too, lol). Oh let me win. That would be great. Hi, I just signed up for ebates, is there any sort of confirmation you need? I didn’t see a referal area when I signed up. This is a great giveaway. Thanks for offering a wonderful opportunity! I usually don’t win anything either, but hey… it’s worth a shot! Love Love Love your site! Now I get why you needed to upgrade your servers now that you are so famous on the Tyra show and all..LOL Thanks for bringing us all the nice freebies!! You’re the best! I would just die if I won!!! Thank you for this amazing opportunity! I have learned so much from you site. Thank you for everything you do! I hope I win!! I do enjoy ebates and all the other rebate sites that are out there. I’m excited about your giveaway and love the format of your giveaways in general! Oh…I love Apple! Thanks for such a great giveaway! My husband’s b-day was last week. He really wanted the new i-phone 4, but i couldn’t afford that. would love to get it for him as a late b-day present. I just signed up under you because of this special giveaway. You are most generous to do this. Thank you for the chance to win! Thanks for offering such great givaways – this one especially! I’m excited to see who wins. Love this website so much – I check it all the time! I would LOVE to win this! I will be teaching in a new building this year and would love to be able to utilize more technology in my classroom. I am never so lucky to win……………….but it never stops me from trying. This would be one awesome time to actually win and would also be the only chance of every being able to owns such an awesome product! SOOO EXCITED to see what lucky winner will recieve this awesome giveaway… GOOD LUCK TO all the EBATE and F4M fans. Yes, please!!! Desperate for one…too poor to buy one!! We really like ebates..great money saver! Thanks for offering this give away. I desire my husband to have a Mac so badly for our family business and ministry! Lord if its your will!